HIGHLY anticipated by French style enthusiasts, The Fashion World of Jean Paul Gaultier will be on display at the Grand Palais in Paris from tomorrow to Aug 3. Using futuristic and original scenography, the travelling exhibition depicts nearly four decades of the designer's avant-garde fashion. 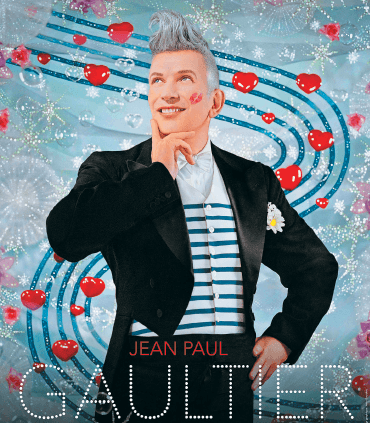 Somewhat unexpectedly, this overview of Jean Paul Gaultier's career did not originate in the French capital, where the enfant terrible spent his formative years and revealed his first collections. Instead, the exhibit was first staged at the Montreal Museum of Fine Arts and has since travelled the world from Dallas to Melbourne, with stops in major museums in New York, San Francisco, London and Madrid. For the 10th stop in its tour, at the Grand Palais in Paris, The Fashion World of Jean Paul Gaultier will be expanded with special multimedia installations designed specifically for viewers in the French capital. Like the famous couturier himself, the exhibit is anything but ordinary. Jean Paul Gaultier has even stated that he considers it as an entirely unique phenomenon rather than as a retrospective. Retrospective or not, the show will present visitors with 175 haute couture and ready-to-wear looks designed since 1976, the year of the couturier's debut apparel collection. These clothes and accessories will be displayed alongside archival artefacts unveiled to the public for the first time, as well as sketches, theatrical costumes, footage from films, fashion shows, concerts and television shows. All of these elements combine to illustrate Jean Paul Gaultier's many artistic collaborations through the years. The Montreal-based avant-garde theatre company UBU, directed by Denis Marleau and Stéphanie Jasmin, contributed an original audio-visual presentation in which mannequins produced by Jolicoeur International come to life. The video features the faces and voices of several participating celebrities, including Jean Paul Gaultier himself. For more information, visit www.grandpalais.fr/en.